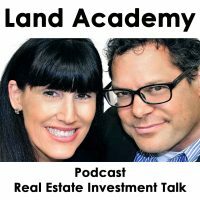 Jack: Welcome to the Jack Jill Show, entertaining real estate investment talk. I’m Jack Butala. Jill: I am Jill Dewitt, broadcasting from sunny Southern California. 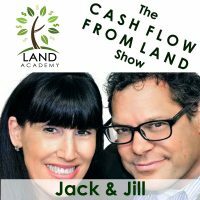 Jack: Today, Jill and I talk about how to price house offers. There’s a couple ways, and we’re gonna make this brief and cut really to the chase in this episode about how to sent out a successful offer campaign to a group of offers or neighborhood that you selected, so that you can achieve the same numbers that we do for every 2,500 houses that we send offers to. We buy a house, and we flip it for a $20,000 to $40,000 bucks. We don’t clean it up, we don’t renovate it, we just sell it to the guy that’s gonna do that. Jill: As you describing things, I’m gonna ask you. Jill: Talk about it. Thank you. Jack: Before we get into it, let’s take a question. Here’s a question posted by one of our members on the JackJill.com online communities free. Jack: So that’s the whole question. Jack: Let’s hold on. This ties exactly, ties exactly into what we’re about to talk about. The beginning of the sentence is I’ve got a guy selling two adjacent properties, so I don’t know how he came about this seller. If you sent him an offer, so for us in this deal, we would’ve sent the guy probably a $500 offer to buy each of his two and half acre properties, in which case if he signed it and sent it back, here’s exactly what I would do. Go on to Parcelfact.com, which is full disclosure, a company we own, see if the property looks any good, check it for access, probably do two or three other points of due diligence like does this guy actually own it, pull a property report in Real Quest Pro, bang, bang, bang, it’s about four minutes later, and I’ve made up my decision. I don’t talk about rods or try to negotiate the deal. This is where everybody gets hung up in this whole industry. I don’t question myself, I don’t care ’cause I’m gonna be out $1000 if I’m wrong, which by the way, we’ve almost done 16,000 deals and I can count on both hands the times I’ve been wrong about this. So this old adage of get to know the piece of real estate intimately and everything about it so that you can maximize price when you sell it, throw it all away. You’re never gonna make dough in land. If you look at every piece of every asset [crosstalk 00:03:11], you talk about your rod, your rod doesn’t matter. Even though Joe, you think it does. Jill: Or they’re cooking dinner and this is playing right now for the whole family to hear, ’cause I’ve talked to those people. You know who you are, and I think you’re awesome. So I’m just gonna leave it. I’m not gonna talk about your rod, Jack. Jack: My rod. How’s my rod get into this? Jill: Well anyway, whatever, whatever. Jack: I hope that answers the question. Jill: You know what? You men are always comparing rods. Jack: All kidding aside, the last point is if it didn’t … If this deal did not come up from a letter … From an offer campaign, walk away. Jack: If it’s already in Craig’s … You didn’t get there first, you wanna get there first with the offer campaign. Today’s topic, how to price house offers. This is the meat of the show. House offers and land offers are very, very different. In fact, tomorrow’s show is how to price land offers. Jack: You look excited. Jill’s gonna paint her nails. Jill: These are my favorite topics. Jack: When you go to find a market, there’s a lot of ways to pick a market, and that’s a topic actually for the House Academy Education Program. We spent a whole chapter on exactly how to pick a market, and it’s very scientific. It has nothing to do with the color of the shutters or how quaint the neighborhood is. It has everything to do with how many properties are changing of hands, how fast, how expensive, all … If you look at days on market, it’s a very scientific approach. If you’re an accountant, or an engineer, you’re gonna fall out of your chair at how beautiful it is, and how emotionless it is. Jill: There’s no guess work, it’s not scary. Jack: When you do is follow from A to B to C, the outcome is extremely predictable and consistent. Jack: To jump into, right. In general, the more expensive the market, the more you wanna stay away from it, the more average the numbers are, the better they come out in general. Real old markets don’t do well, and real new markets don’t do well, you want the ones in the middle. But I’ll save all the details for that later. Jill: Will you please explain what a trend census track is, Jack? Jack: Sure, so the government … U.S. government a really long time ago broke out and continue to break out every little block for lack of a better description, or area based on its density, population density, and they assigned it a number. So the block that you’re sitting in right now, or driving through, that has a census tract number on it, and it’s designed to bring some consistency, thank gosh, to the real estate industry. Jack: So when you think about … That’s a great point. So think about if where you live, I bet if you go two blocks over, it’s really different. Jack: Unless you live in a big master plan dell web type community, your house might be worth $100 or $300 and over the next two blocks over, it’s worth $400 or $100. I can tell you where we are sitting in our studio right now, if we go three houses over, the … You can add $4 million. Jack: So you wanna smoke that all out. If it sounds a little bit complicated and daunting, it is in the beginning, but once you do it a couple times, again, if you’re an accountant or an engineer, this stuff … You can tackle this like nobody’s business. Or then you can evolve … This is a truly a pricing, data tree pricing, take an average of that, cross check it against square footage and census tract, you’re gonna get a real good idea of what property is worth, really current too. Then you’re gonna back it off by 40%. Jill: Are you using … You’re not using … When you are using those other sites, are you using completed sales, or available property right now? Jack: Available property … Well here’s the answer. Zillow, Trulia, and Redfin use their version of an algorithm, and they’re all different. You average those out, and then you come to an average census tract price per square foot of what they all think it’s worth. Just looking cross eyed at me. Jack: It’s not super simple. Jill: No, I’ve seen the spread sheet. Jack: So now you have a price per square foot per census tract that you think the property’s worth. What we do is back off … This is for houses only, back off 40%. So if it’s $100,000, we offer $60,000. To make your success rate almost insured, you only send offers to people who have no mortgage on the property. You can get all this data out of Data Tree, or a licensed provider. I explain it in incredible amount of detail in the House Academy Program, which for the record has not been released yet. Jack: In Land Academy, we do … It’s been released, and we knock it out of the park there. Everybody loves it, go ahead. Jill: Far as I’m concerned, Jack, this is probably one of the most valuable shows that you have ever done. Jack: It’s also the one that you’re the least talkative in. Jill: Well let me please state this, what you just shared is priceless information, and thank you for sharing that, that was big. Jill: No. Yes, stop. Shh, shh, shh, shh, shh, no. Jack: What’s even better is again, I’m not pluggin’ that program, the program … These programs seem to sell themselves, but if we … I actually show ya how to do it, we send a mailer out, and we see the results right in the program. Jill: There’s a lot of pieces. Jill: So let me back up here. Jack: Or applied it to apartment buildings. We have one person turn apartment buildings with huge success right now. Go ahead. Jill: What percentage of mail do you think the average homeowner receives that has a real offer price on it? ‘Cause I wanna state that a lot … There’s a lot of people that say, “Oh we’re doin’ that too. We’re sending out stuff, we’re reaching these people, we’re doing it.” But they’re not sending real offers. Jack: Even if it does say “Dear Sally Jones, we wanna buy your house,” and the people who respond to that are on … They’re upside down. You don’t wanna talk to them, your time is valuable. You want someone to sign the thing, cut … Send it back, and buy their house. Jill: For the price that we wanna buy it. Jill: And it’s personalized to them, so I wanna make sure people know that we’re not … So what those 2,500 offers that are going out to pick up one house are very, very strategic. That’s … So thank you, Jack. I know you put a lot into it, thank you. Jack: Yeah, that’s the overview. There’s a lot of details you have to work out like, ‘Okay, great, so I’m gonna send out 2,500 offers, how do I get the Zillow numbers for each one of those things in a spread sheet, each one of those properties?’ Well you need help, you need overseas help. Low dollar input, overseas help is how we do it. Jill: It’s a good point. Jack: We have an answer. We have figured this all out, which is let me put it that way, and we do it every day with huge success. Jill: For the record, it’s funny. I was not real sure about overseas VA’s, but let me tell ya, there’s a … When you find the right group, and you build up a rapport with them, and you have some … We have an awesome team now, that I love. Jack: That’s how you price offers. I can go on and on about what happens after they sign it and all that, but that’s not what this show’s about. Was that clear? Jill: That was perfect. I loved it. Jack: Well you’ve done it again, you’ve actually probably spent a pretty quality at 12 minutes with us, listen to the Jack Jill Show. 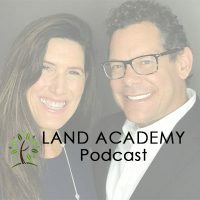 Join us tomorrow where we discuss the exact same topic only for land, how to price land offers. Jill: Yay, and we answer your question, should you have one, post it on our online community, which you can find on JackJill.com. Jack: You are not alone in your real estate ambition. Good show, Jill. Thank you for … Thanks for the compliment. Seriously, I’ve been gettin’ a bunch of emails said people saying, ‘Can you guys stop horsin’ around? We really need to know some information here.’ So that was my way, at least one out of 10 episodes, something useful. Jill: Share the fun by subscribing at iTunes or wherever you’re listening, and while you’re at it, please rate us there. We’re Jack and Jill. Jack: We’re Jack and Jill, information. Jack: To buy undervalued property.